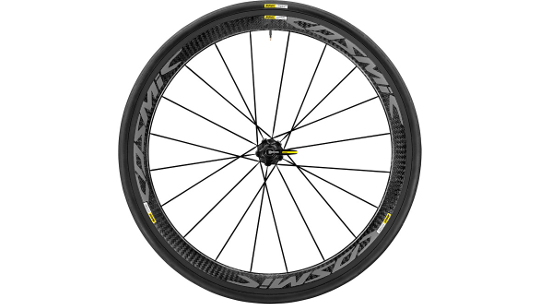 The newly designed Cosmic Pro Carbon Exalith feature a blend of low frontal drag and crosswind stability through; 45mm deep NACA profile to help bring low drag in any condition, 25mm external rim width perfectly integrates the 25mm tyre giving you low drag and easy crosswind steering and patented elliptical spokes enhance aerodynamics. The Pro Carbons also feature perfect efficiency and low weight with 17mm internal rim width which offers low rolling resistance with 25mm tyres, giving you low friction and fast engagement and instant drive 360 freewheel that gives you a fast and smooth ride. 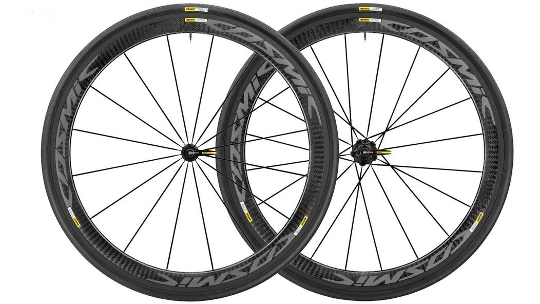 The whole wheelset weighs just 1650g, keeping your climbs fast as well as featuring Exalith treatment for optimal braking efficiency and a distinctive look.